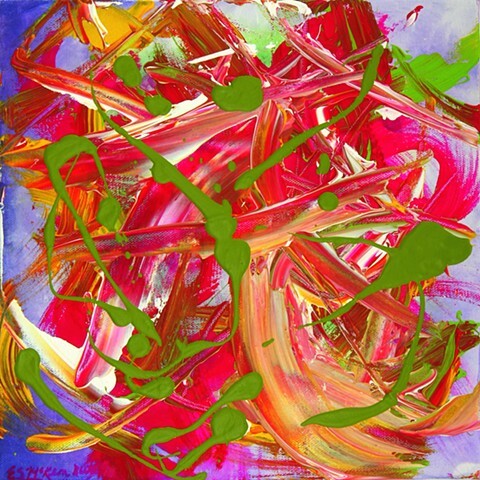 Celebrate the beauty of Spring in your home every day with this colorful abstract painting! Vivid magenta and bright spring green, along with splashes of white on a beautiful lilac background will light up your walls! Spring is gallery-wrapped, wired, and ready to hang (no frame needed).